Safety and compliance are crucial when operating in harsh, potentially explosive harsh environments. The Employee must be trained adequately and the right equipment has to be selected. Accurate and consistent filling, dosing and batching are essential to ensure consistently high product quality. 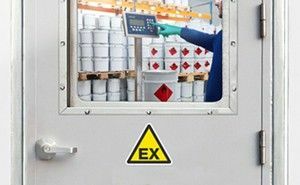 When choosing the right weighing equipment for hazardous areas, the correct classification and the appropriate method of ignition protection must be considered. Installing intrinsically safe weighing instruments ensures accurate and reliable weighing results at highest protection levels. 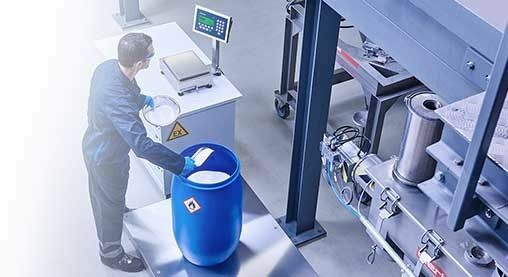 Intrinsically safe weighing equipment is ideal for weighing in hazardous areas because it keeps the entire system safe – independent from the weighing application. Intrinsically safe technology prevents explosions by ensuring that the energy transferred to a hazardous area is well below the energy required to initiate an explosion. Intrinsically safe systems allow equipment to be used without risk of igniting any flammable gas, dust or fibers that may be present in hazardous areas. Choose from a wide range of compact, bench and floor scales, load cells, weigh modules and vehicle scales. Our intrinsically safe weighing terminals provide the functionality you need, from manual basic weighing applications to semi- or fully-automated process control. Standard communication interfaces enable seamless integration into your process environment. 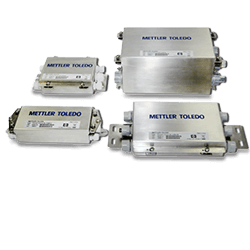 Our products offer the flexibility of mobile battery operation. Regardless of the regulations where you are in the world, our solutions come with global approvals and conformity with the latest guidelines to ensure that your processes are optimized for maximum safety and reliability.